In the course of the highway BAB A 7 development a long distance gas pipeline of Avacon AG was affected at two points. As the lane widening of the BAB A 7 would have resulted in insufficient cover for the long distance gas pipeline the crossings had to be newly constructed. Both crossings were carried out by means of the HDD method (Horizontal Directional Drilling). VEENKER compiled a feasibility study, carried out the planning including supervising soil investigations, compiled tender documents for soil investigations, procurement of pipes and bends, pipe building and the HDD crossings and was involved in awarding the contract. 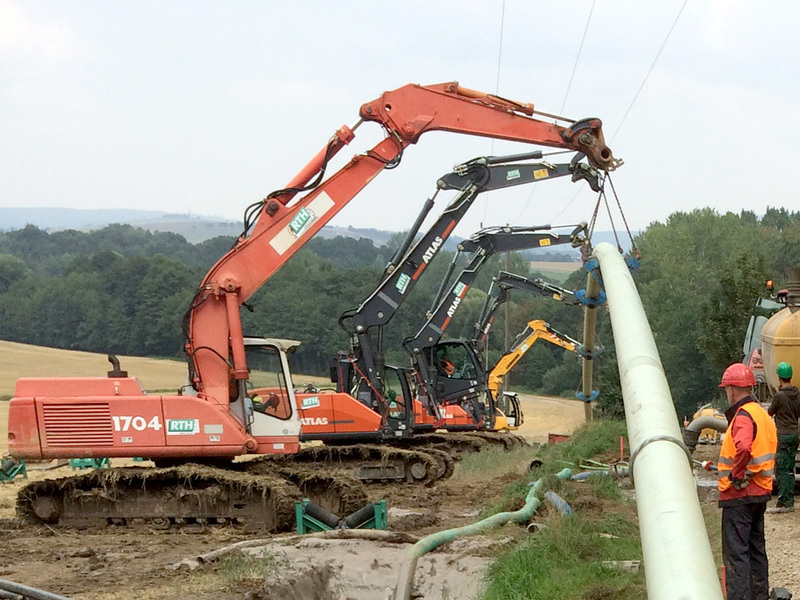 In accordance with the safety guidelines of the GasHDrLtgV (German high-pressure gas pipeline regulations) a new construction of the crossings by means of the HDD method as well as the design of a new pipeline geometry in the previous pipeline track were possible. Also other alternatives for trenchless constructions were presented and compared. Avacon AG followed VEENKER’s recommendation to give priority to the HDD method for technical, safety and financial reasons. 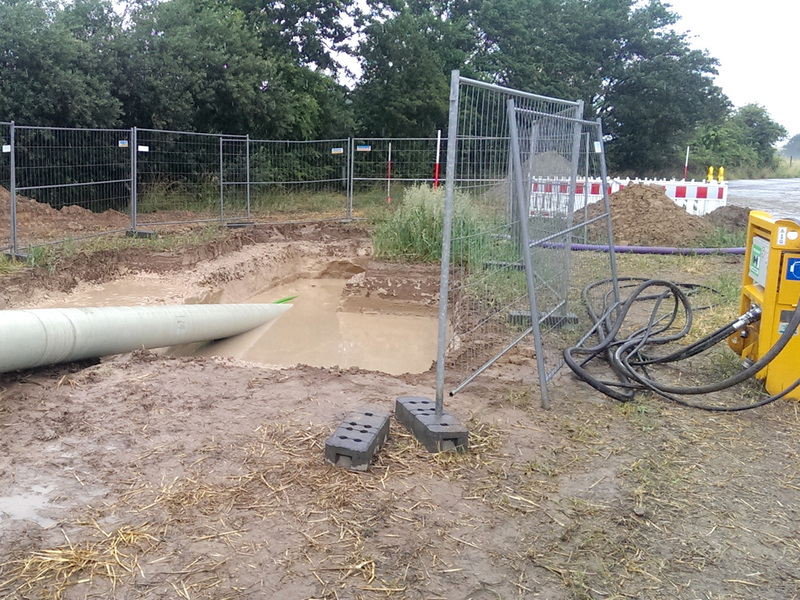 Following a close consultation with the Road Construction Authority of Bad Gandersheim, Germany, the new construction of the pipeline sections in question was carried out successfully by means of Horizontal Directional Drilling with a length of circa 250 m and circa 350 m.